Battle Type Evolution Requirements Garurumon + Winning Percentage: 40%! Greymon + Winning Percentage: 40%! Tailmon + Winning Percentage: 40%! It is a hand-to-hand fighting professional who freely uses its varied combat skills! 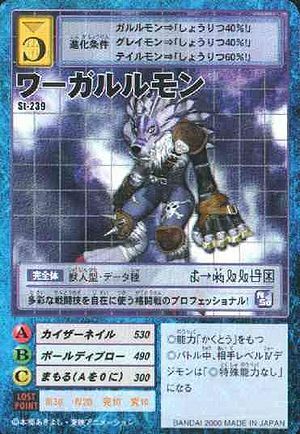 ◎During battle, the opponent's Level IV Digimon lose their special abilities. This page was last modified on 28 July 2016, at 22:13.